They say Christmas is the most wonderful time of the year. 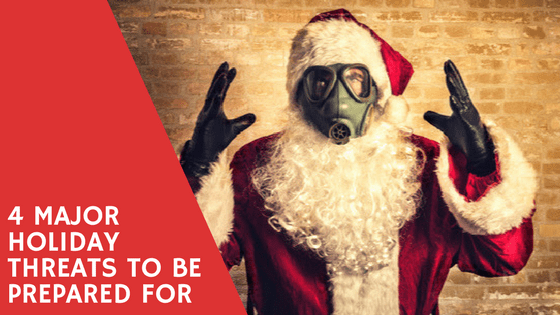 Many disregard the fact that the holidays are still a dangerous time of the year. As a prepper, it is important for us to remain alert and vigilant. Now, I’m not saying that you shouldn’t enjoy the holiday season. I too like to sing carols while roasting bacon by an open fire….I mean roasting chestnuts. However, as always we should practice situational awareness of what is going on. There are 4 major threats that we should be aware of and prepared for. There are many crimes and threats that still happen during this time of year. However, the most prevalent are threats that we will be discussing in this post. As we have seen in past mass and active shooter situations, it is always the crowds that are targeted. They don’t pick off individual people one by one. They look for targets that can cause mass destruction with little effort or the possibility of backfiring. Big crowds are always susceptible. For example, we recently witnessed one of the most devastating mass shootings in Las Vegas. These unsuspecting people were attending a concert and not aware of possible threats that can be lurking. As a result, over 500 people were shot. 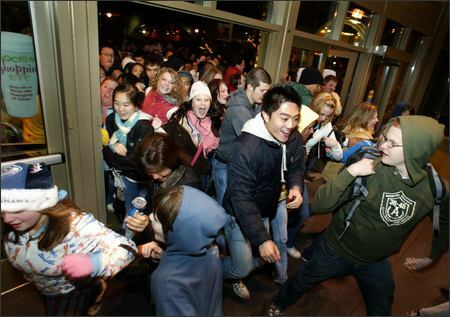 The Christmas season draws millions of peoples into stores. These people are mostly focused on getting the best gift for themselves and others. It doesn’t cross their mind of how susceptible they could be to a mass shooter. That is why mass shootings are so easy during the Christmas season. Therefore, we need to be prepared for such a threat. The best way to survive an active shooter situation is to begin preparing now. That way if the situation ever occurs you will immediately know what to do. I recommend taking some tactical self-defense classes. Another useful is skill is to develop situational awareness. Finally, you should keep an active shooter kit in close proximity to you like in a car. Another thing that I love about the holiday season besides the hot cocoa is the Christmas bonuses we receive. You know who else loves that? Muggers and robbers. The holiday season is prime time for muggers and robbers. They know that people have either received Christmas bonuses or have saved up for some time. So a lot of people walk around with hundreds and sometimes thousands of dollars on their person. So again, having situational awareness is important for these types of threats. You don’t want to be walking down dark alleys alone. You should try to stay visible in the light and don’t appear as a soft target. Establish a baseline of normal activity for where you are going and identify the outliers. For those that are not consistent with the baseline, you should keep your eyes on them. Another way to be prepared for a mugging or robbery is to keep small amounts of cash on you. First off, if you do get robbed with small amounts of cash you don’t lose everything that you have. Also, if you give a mugger something they are most likely going to take it and run. If confronted with such a situation I would suggest that you throw the small amount of money on the ground and run. This will pacify the mugger to give you time to escape. Robberies during the holiday season especially include home robberies. Robbers know that you are gathering expensive gifts for friends and family. They lie in wait for you to leave your home or to go to sleep. One way to prevent this is to have a layered security system setup. This could be dangerous because you may be forced into a self-defense situation. Before using a handgun in self-defense it is important to understand what to do after shooting someone. Not every situation calls for the use of lethal force with a handgun. One way to prepare for the situation is to have CCW insurance. Not many of us can afford to defend ourselves legally. On top of that, we don’t know how to. This is why I recommend signing up with United States Conceal Carry Association. They provide legal insurance and representation if such a situation was to arise. It blows my mind how people are willing to stand in lines for hours and sometimes even days to receive a 25% discount on something. It would be nice if those people would be willing to stand in line that long for a job. That’s neither here nor there. 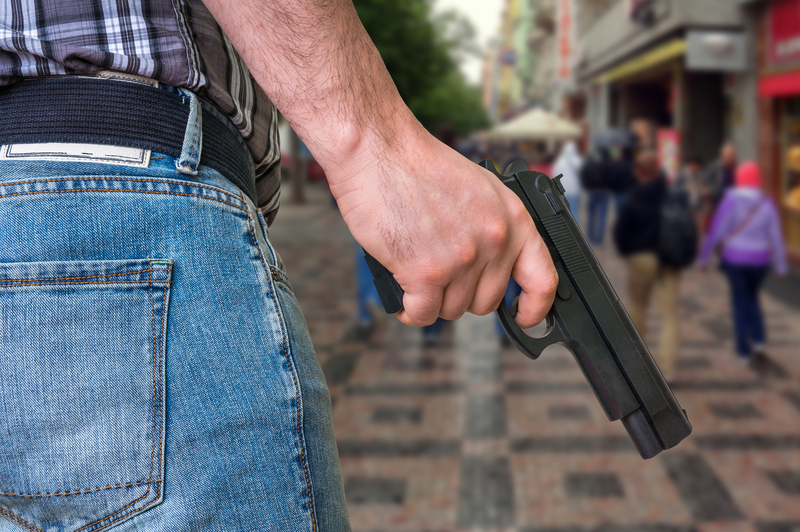 Shopping violence is a dangerous threat that we should be prepared for. Some people have lost their lives or severely injured attending events like Black Friday. People are willing to hurt someone for a brand new TV. Again, it is my recommendation that you avoid the crowds. Besides, it is much more convenient to shop online. At the Smart Prepper Gear Store, I source products that I believe are high quality and helpful for preppers. There are other sites like Amazon where you can find a lot of sweet prepper gear at reasonable prices. Another great thing about shopping online is that you can easily find what you want. You don’t have to dig through bins to find something. Now in my previous point, I stated that it is more convenient to shop online. That doesn’t mean that it is safer. There is still the threat of identity theft that you need to be aware of. Not only can your identity be stolen online but offline as well. 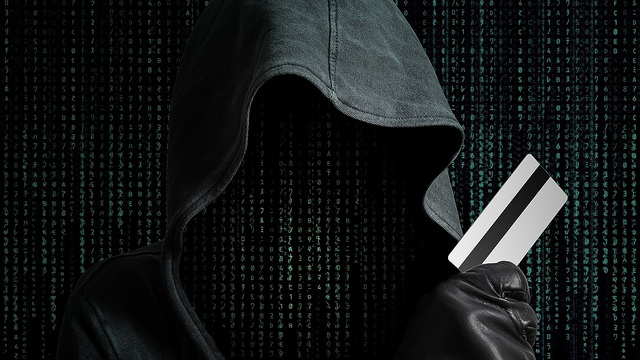 Hackers like to place magnetic strips at the pumps of gas stations to steal your credit card information. Instead of getting a real job and doing something with their lives they decide to take what others have worked hard for. There are many different ways someone’s identity can be stolen. Identity theft has quickly become one of the most prevalent property crimes in the United States. Around 15 million Americans have their identity stolen annually. The total loss of such theft is estimated to be around $50 billion. When you are shopping online you need to be wary of suspicious links. Only click on links that you can trust. If you must absolutely visit a suspicious link I would recommend typing it in the URL of your browser instead. Use a backup debit card when shopping online. Don’t use the same card that you use to pay your weekly expenses and depend upon for surviving. Instead, transfer shopping money to different designated for that purpose. Finally, keep your PC clean. You should periodically use programs like Avast to scan for viruses and malware. Hackers like to deploy these on computers to steal personal information. 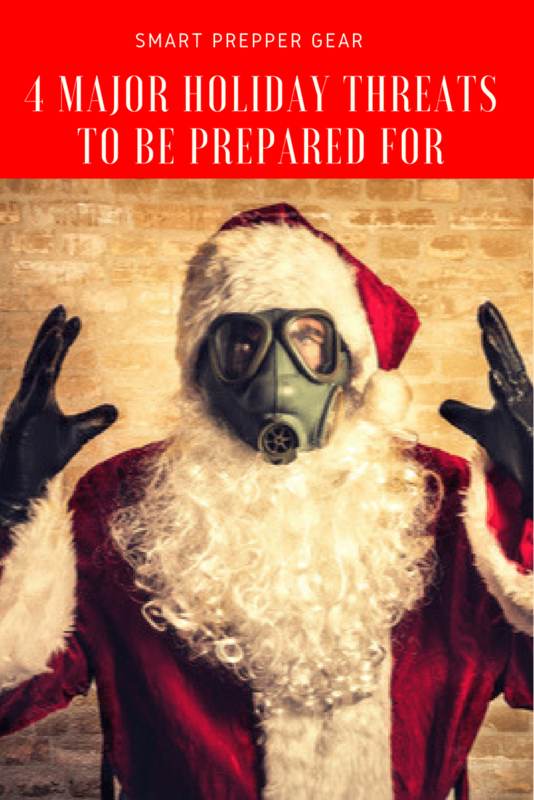 Altogether, these would be my tips on to prepare for holiday threats. If you have any suggestions please leave those in the comment section below. Your feedback helps the community prepare the smart way now so that we can thrive later.